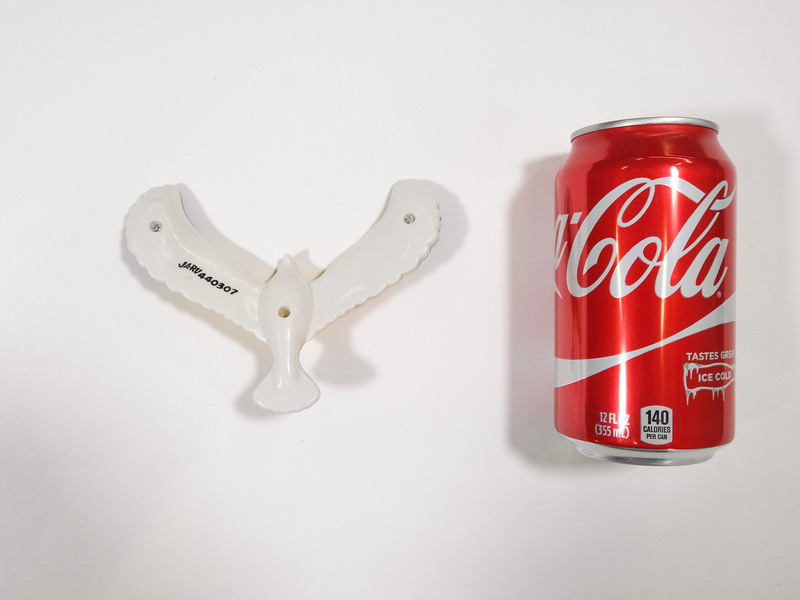 See below for a video demonstrating how the balance bird works. This amazing bird will balance on almost anything! CPSIA approved. They are fun and educational - great for teaching kids the principles of gravity and center of mass. Individually carded on peggable color paperboard, each bird is 3.5" long from beak to tail and 1" tall with a 6.5" wingspan. 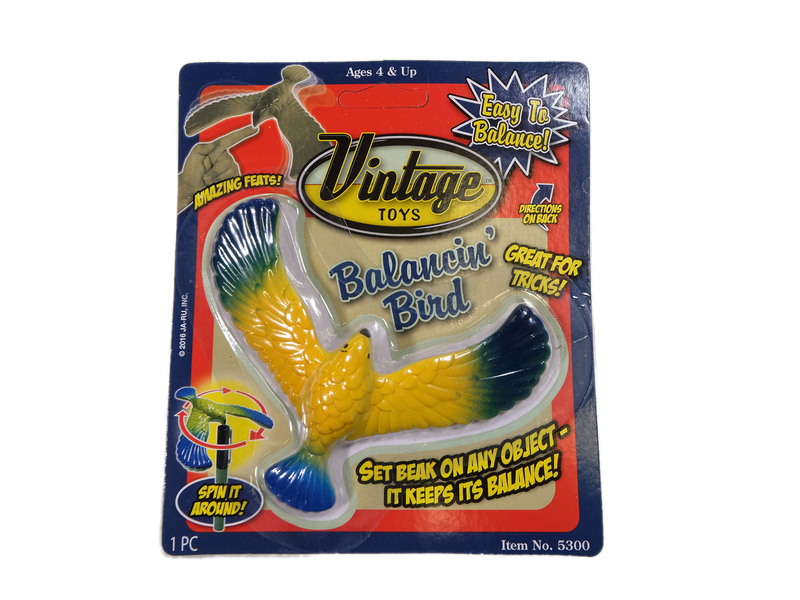 We also sell a smaller balance bird style. 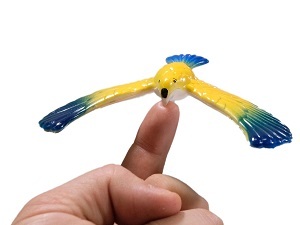 It measures 2.5" long with a wingspan of 5". It weighs 49 grams, and the package is 7" by 6" in size.